Will you be our #wombatsTraveller? In this age of blogs and social media, you’ve probably heard of those who have made it their career to travel the world, create and share content about their experiences. Do you aspire to be one of them? If you have a travel blog and/or a social media presence, and you’re looking to take this to the next level and grow it into a career, then this opportunity is for you! wombat’s CITY HOSTELS is partnering with iambassador to find and train a digital brand ambassador for wombat’s CITY HOSTELS! Will you be our new #wombatsTraveller? 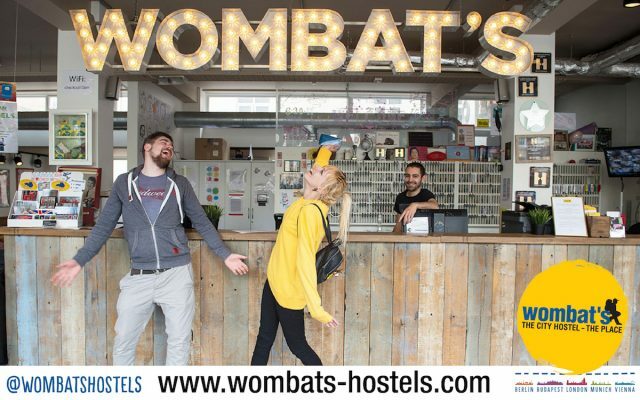 All of us at wombat’s are travellers and we love to move around the globe, visit other hostels and meet fellow travellers to share stories and our passion for travel. 2019 will be a special year for wombat’s CITY HOSTELS. We’re celebrating our 20th birthday with the grand opening of wombat’s VENICE Mestre and we’ll host various events throughout the year in Berlin, Budapest, London, Munich and Vienna. It is a special year for us and we want it to be a special year for you too. 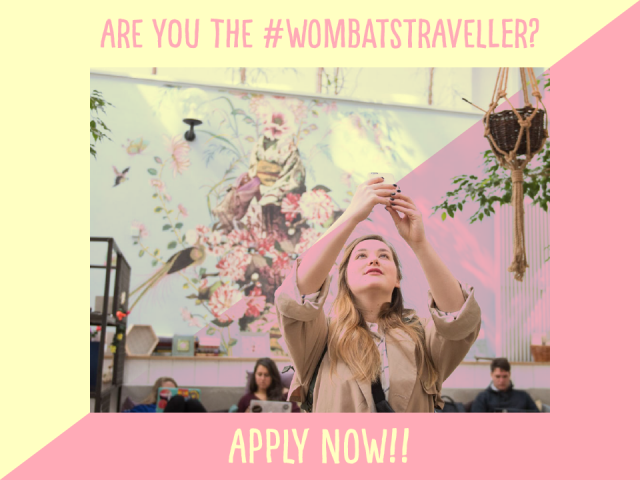 That’s why we are offering you a unique opportunity to become the #wombatsTraveller in 2019! You will be a brand ambassador to wombat’s CITY HOSTELS on the basis of a paid internship between April and September 2019 at our digital marketing team. This is going to be a once-in-a-lifetime job to travel across Europe, get your creative juices flowing, network with industry marketers and learn from professional travel influencers! In other words, this may be the start of your career as a travel influencer (and the costs are on us!). Have wombat’s help in promoting your channels; perfect to build up an audience. If you are a talented content creator, love travel as much as we do and enjoy sharing your travel experiences, apply for the #wombatsTraveller internship by filling in the form below. Three lucky applicants will be selected to join experienced travel influencers from iambassador for a 4-day trip to two wombat’s destinations (Berlin, Vienna, Budapest, London and Munich) in June. Together, you will create content and share your travel experiences via your blog and social media. The experienced bloggers will be there to mentor you and provide tips on content creation, building an audience and social media marketing. In addition, wombat’s will cover your travel and accommodation costs, and you will receive a fee as well as a daily per diem (a total of €1,000). The three successful applicants will be informed by 25th May 2018 and they should be available to travel some time between 4th to 18th June 2018. Based on your performance, a jury will then decide who will be the #wombatstraveller in 2019. The main factors which the jury will focus on include the style/quality of the content, diversity of media used and level of engagement. Applicants will be informed by 25th May 2018.